The moment we saw the very first image from this Nautical Styled Shoot, we were in LOVE, and are pretty sure you will be, too. 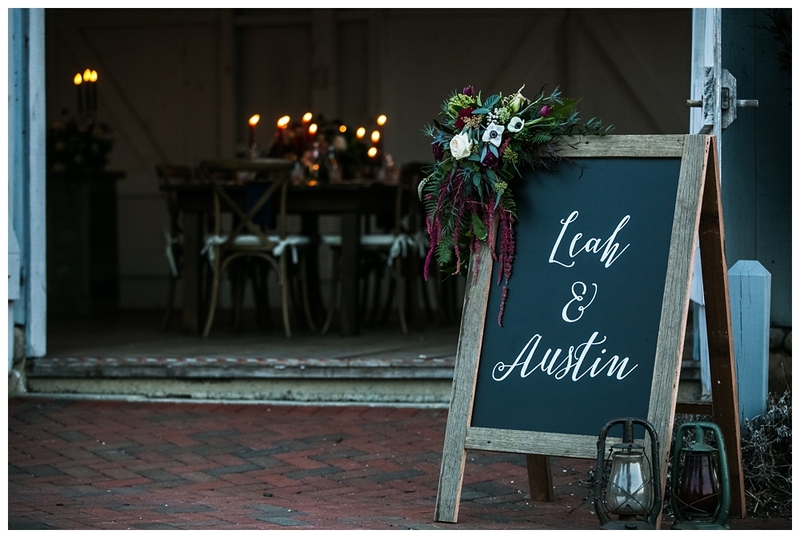 Rustic Drift, one of our newest Vendor Guide Members, sent us this incredible collaboration between some of the best New Jersey + Pennsylvania wedding vendors, and we're simply in awe of their creativity and talent. From the perfectly-rustic barn table and chairs to the stunning floral arrangements,, to the gorgeous hand-lettered invitation suite and a pink tulle dress, every detail is more beautiful than the next. Oh, and that sunset?! Come on!! 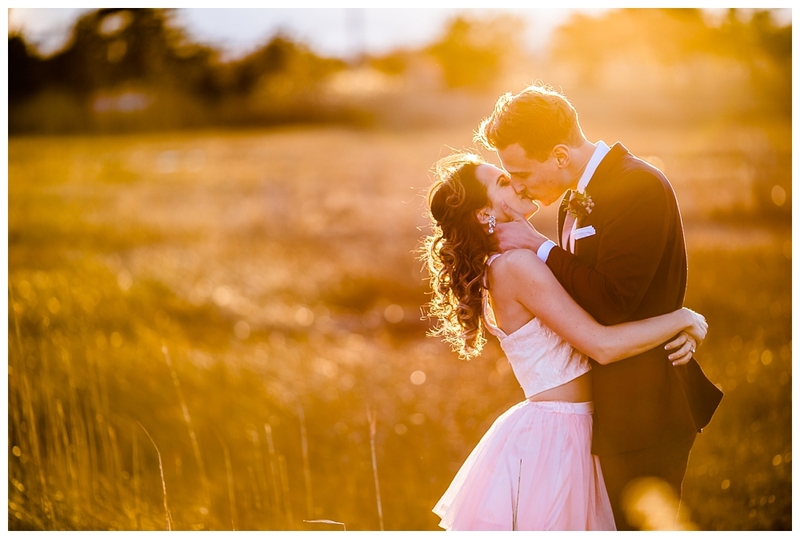 Brides + Grooms, get ready to Pin... this styled shoot is one you'll want to save! From Megan at Rustic Drift: The Boat House Chapel at Bonnet Island Estate is nothing short of breathtaking. The sunlight shines perfectly through the giant opened barn doors and paned windows. For this styled shoot we wanted to play off the natural elements that surround the venue including the giant reeds, marshland, the Manahawkin Bay and the chapel itself covered in blue barnwood and neutral colored cobblestone. 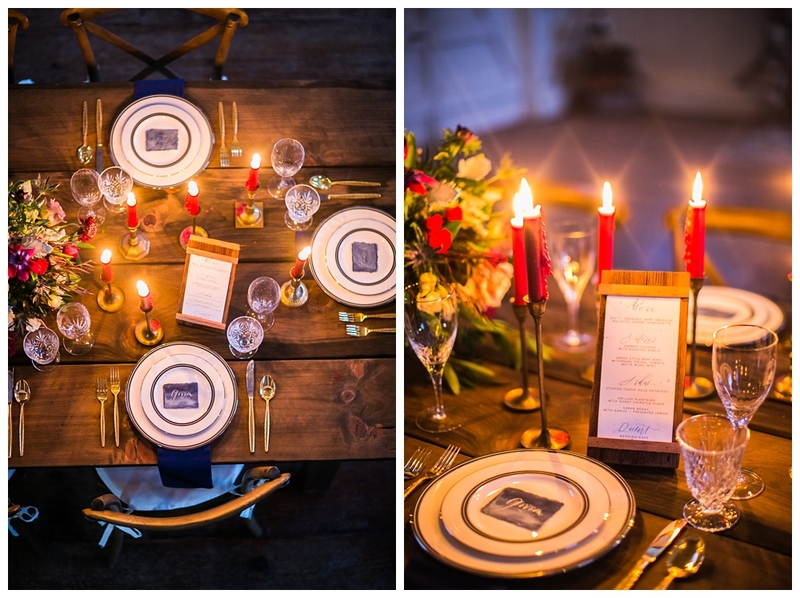 It's rustic and ever so romantic with subtle hints of nautical flair so that's what we aimed for. When designing the shoot, to tie in the nautical elements of this venue, we chose a classic color palette of navy, neutrals and deep reds. A giant model sailboat was placed on the mantel offering an eye-catching backdrop for Rustic Drift’s hand-built farm table and cross back chairs. The centerpiece arrangement in a brass compote vase was designed by Reynold’s Garden Shop consisting of fresh fruit, grapes and artichokes, scabiosa, anemone, ranunculus, astilbe, spray roses, dahlias, roses, garden roses, amaranthus, silver brunia and lush greenery including juniper, eucalyptus, camellia foliage, privet, plumose and dusty miller. The bouquet focused on tons of assorted greenery especially eucalyptus and anemones roses, ranunculus, dahlias, peonies, garden roses and veronica. All the florals perfectly pulled out the overall tones of the shoot. Calligraphy extraordinaire, Caitlin Welsh of Charlie Whiskey Lettering + Design developed an invitation suite combining her hand-lettering and modern typography. Nautical tones of silver, white and navy can been seen consistently in her work on this shoot. The textured, water colored, ocean inspired placecards are undeniably beautiful. 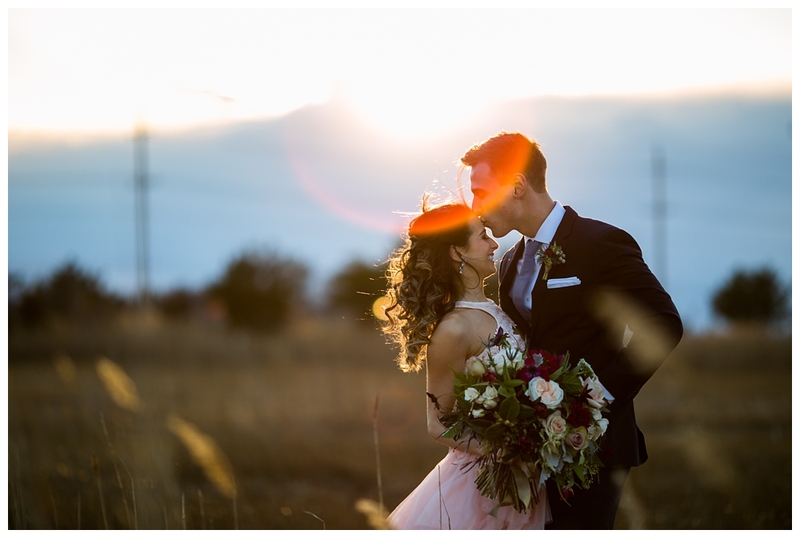 The cotton candy colored clouds at sunset perfectly matched the unconventional but gorgeous two piece light pink tulle set styled by Danielle Monaco of D. Monaco Designs. 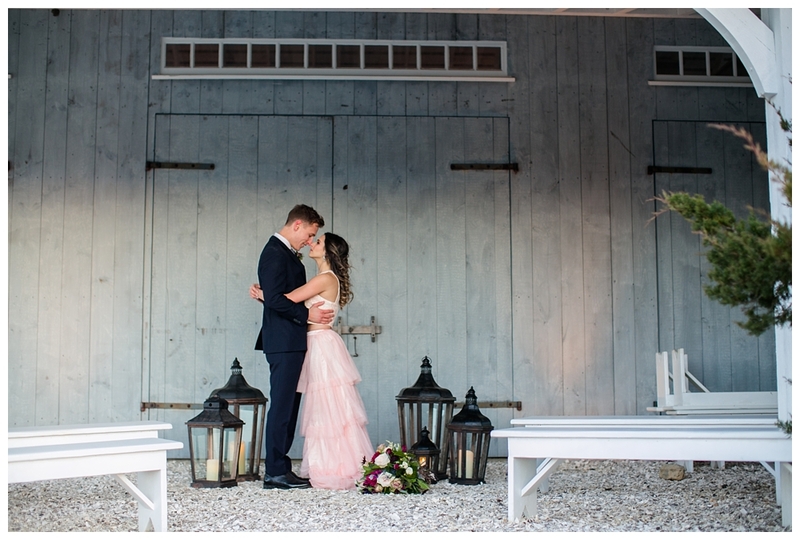 We wanted to present something nontraditional and the light pink dress against the groom's navy suit perfectly complemented the boat house themes. 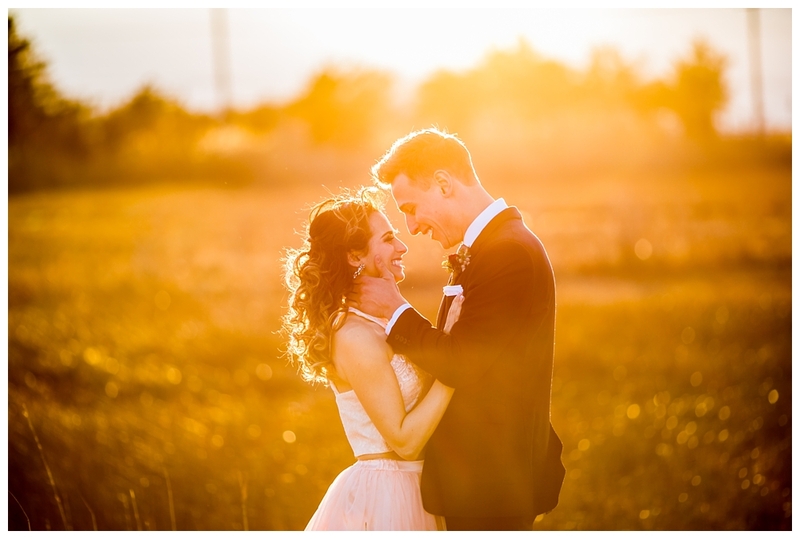 The stunning portraits of Leah and Austin captured by local photographer, Ann Coen truly showcase her abilities as a wedding photographer. Although this was a freezing day for March with flurries in and out, we could not have asked for a more perfect sunset. "Red sky at night, sailor's delight."